Last week, a German-based lady berated Nigerian king of the streets, Olamide Adedeji, aka ‘Badoo’ for delivering a substandard stage performance during his culture tour in Germany even after coming very late for the show. According to the lady who almost physically attacked the singer after his performance while leaving the venue, Olamide was supposed to make-up for his lateness with a stellar stage performance but eventually disappointed his fans by performing for just 20-minutes. Setting the records straight on the controversy which has since gone viral on social media, Olamide’s tour manager, Alex Ozone, described Olamide’ accuser as “a frustrated lady” who was desperate for attention from the popular rapper. “She recorded herself and posted on social media for people to believe her lies. Bloggers picked it from there without verification”, he said. “In the beginning, people didn’t believe Olamide’s Culture tour will pull a crowd because of his indigenous style of music. A lot of people did not believe the tour will be a success but thank God. “Olamide has opened a major door for other indigenous artistes to tour in Europe like Phyno, 9ice, Reminisce and others because they can’t tour like this before outside Nigeria. “Quote me, this is the first time an African artiste is performing in Europe during winter” Alex Ozone added. 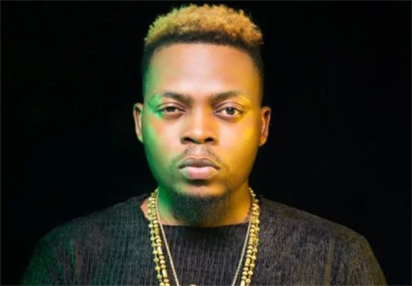 The post Controversy: Lady accusing Olamide is frustrated- Tour Manager, Alex Ozone appeared first on Vanguard News.